C'è tempo tutto agosto per contribuire in anticipo alla realizzazione del cd Piano-Live che Mike Westbrook intende ricavare dai concerti parigini di una decina di giorni fa. Le registrazioni sono state curate da Jon Hiseman, e a pubblicare l'album a ottobre - in tempo perciò per la partecipazione di Mike al London Jazz Festival 2016 a novembre - sarà la Asc Records. 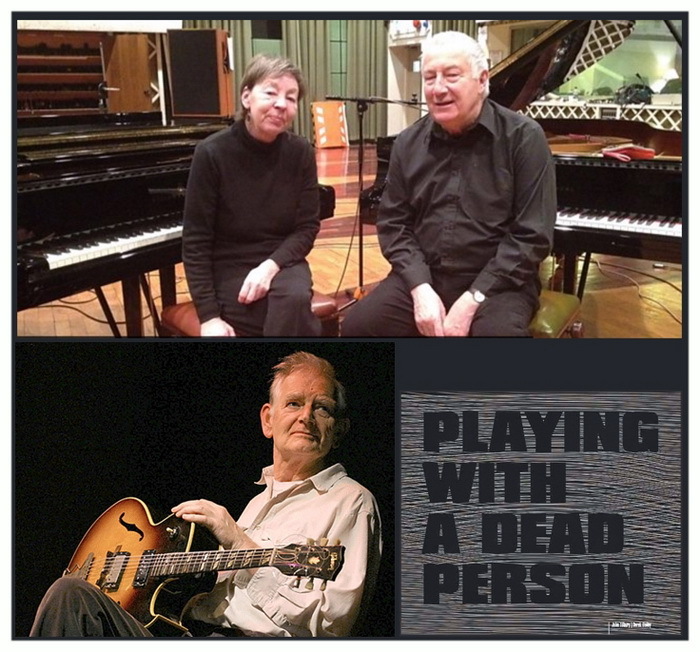 Della natura del progetto dice Kate Westbrook: "In our house in Devon I am fortunate to hear Mike in his music room play, as he works on a new composition, explores favourite Ellington tunes or improvises on themes of his own and from across the spectrum of genres. 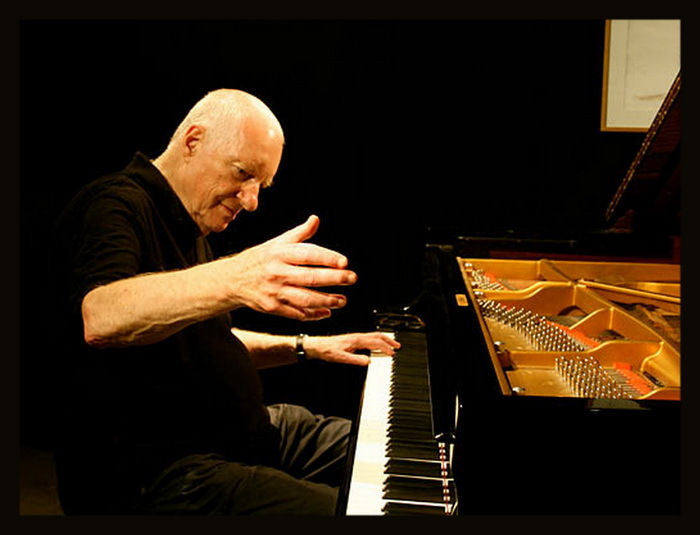 This piano solo recording aims to capture that intimate relationship between Mike and the piano." A dire il vero lo ha già fatto nel 1975, ma allora non se n'è accorto (quasi) nessuno. Stavolta ci pensa Cordelia Records a farlo sapere al mondo: R. Stevie Moore riforma i Beatles! 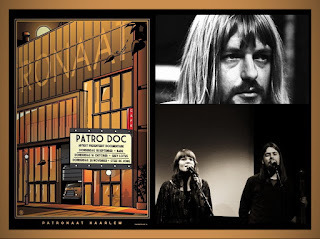 In 1975, R. Stevie Moore's uncle and artistic patron, Harry Palmer (formerly of the Boston psychedelic band Ford Theatre and then an executive at Atco Records, and incidentally the guy who discovered the Shaggs), asked his nephew to record an album of instrumental Beatles covers, possibly for release as one of those budget-label eight tracks that used to populate variety stores and truck stops across America. Palmer financed the recording of 19 tracks, but their release fell through, so Moore simply put them out himself. 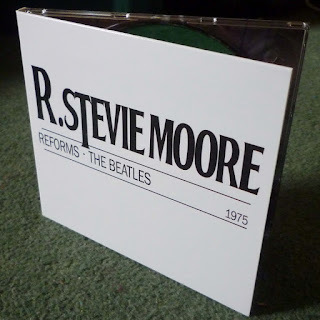 As an album, Stevie Does the Beatles is entertaining listening: you can't go wrong with the songs, of course, but amusingly, Moore performs every one of them as if they were his own. Fans of his album Phonography or any of his mid-'70s self-released efforts will immediately recognize Moore's characteristic guitar tone and loping rhythmic style. There are even a few typically Moore experiments: "And I Love Her" is positively minimalist, and he turns the slight "I Wanna Be Your Man" into an extended jam with flute, saxophone, and congas. (Overall, the song selection leans toward the Beatles' early-to-middle years, with many of their big hits ignored in favor of beloved album tracks like "And Your Bird Can Sing.") For good measure, the set ends with side two of Abbey Road boiled down to a concise ten minutes. 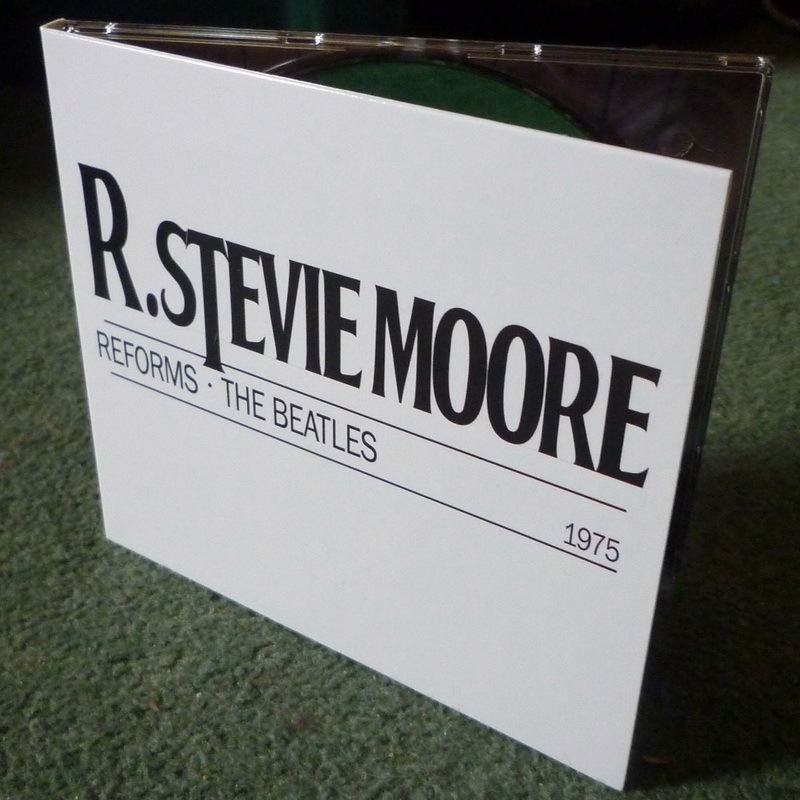 Stevie Does the Beatles is essential neither for Beatles fans nor for Moore fans, but it's entertaining. 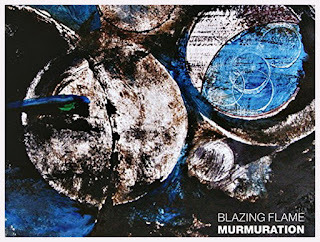 Con lo stratagemma dell'autointervista - in due puntate - Steve Day illustra in gran dettaglio la genesi di musiche e testi di Murmuration (Leo Records, 2016) e l'evoluzione del collettivo di musicisti al suo fianco, Blazing Flame, in parte mutato rispetto a precedenti prove: con lo scrittore - qui anche voce recitante e cantante - sono oggi Keith Tippett, Julie Tippetts, Steve Day, Aaron Standon, Peter Evans, Anton Henley, Julian Dale e l'ospite Bill Bartlett. Uno dei brani chiave di questo nuovo ciclo di composizioni, Off the Coast of Fukushima, circola anche tramite YT. Murmuration is the second album by Blazing Flame and fifth by Steve Day. 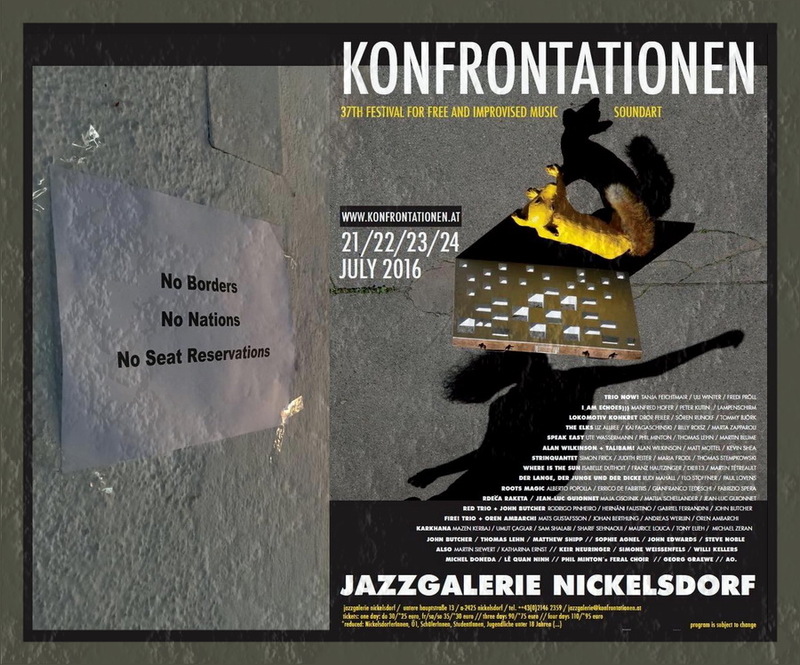 It is twelve dialogue poem/songs each with an internal narrative, featuring seven superb improvisors. The only thing that is written are Steve's poems. All music is improvised. Keith Tippett and Julie Tippetts expand piano and vocal technic into a unique sphere of spontaneous composition. Julie Tippetts has never sounded so amazingly clear. This music is rich in considered language at a time when idle talk comes cheap. 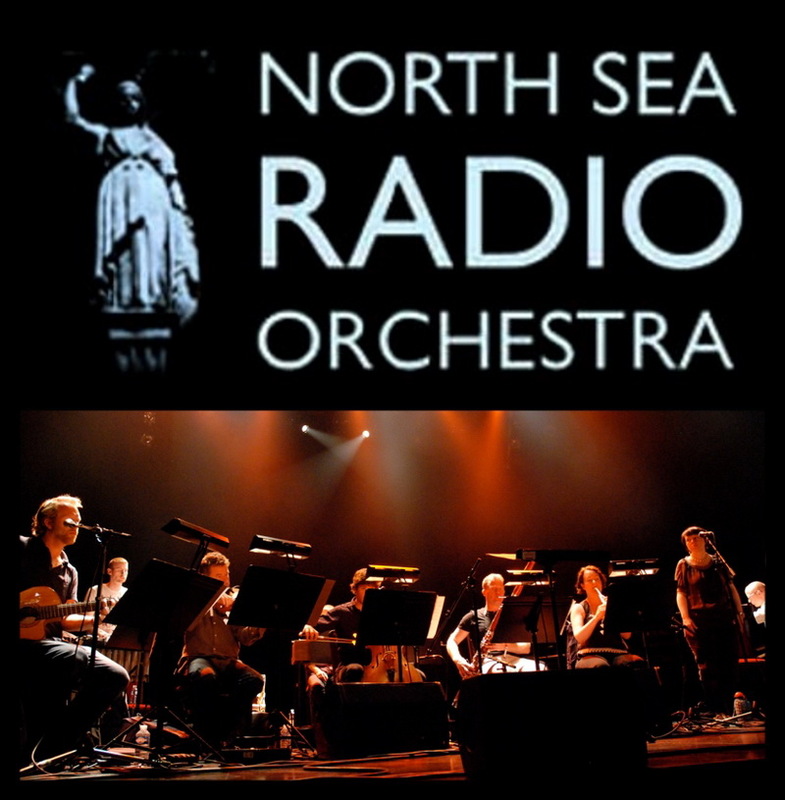 Con qualche settimana di anticipo rispetto alla pubblicazione dell'album che la ospiterà - Dronne, quarto album della North Sea Radio Orchestra guidata da Craig Fortnam - circola tramite Soundcloud un'animata versione del brano di Robert Wyatt che apriva il lato B dell'immortale Old Rottenhat (1985): The British Road. E c'è anche un video promozionale su YT. How can I rise if you don't fall? 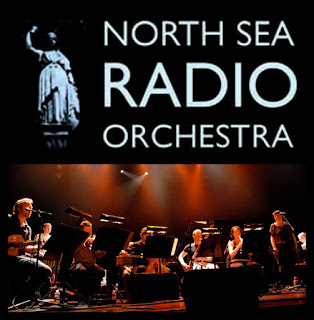 C'è traccia su Bandcamp di un più che dignitoso omaggio a Robert Wyatt ad opera di un gruppo metal olandese di incerta sorte, Grey Lotus, che per l'occasione accoglie nella propria gamma strumentale voci, pianoforte, violino e fisarmonica: Sea Song, Shipbuilding, Memories e Out of the Blue, da un concerto al Patronaat Café di Haarlem il 16 ottobre 2014. 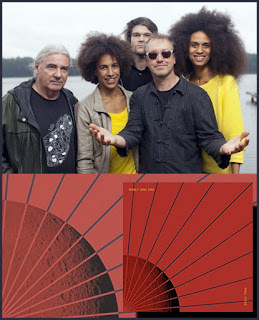 Grey Lotus is a Dutch collaboration between multi-instrumentalist Daan Arisz and vocalist Joost Verhagen, formed in Haarlem. 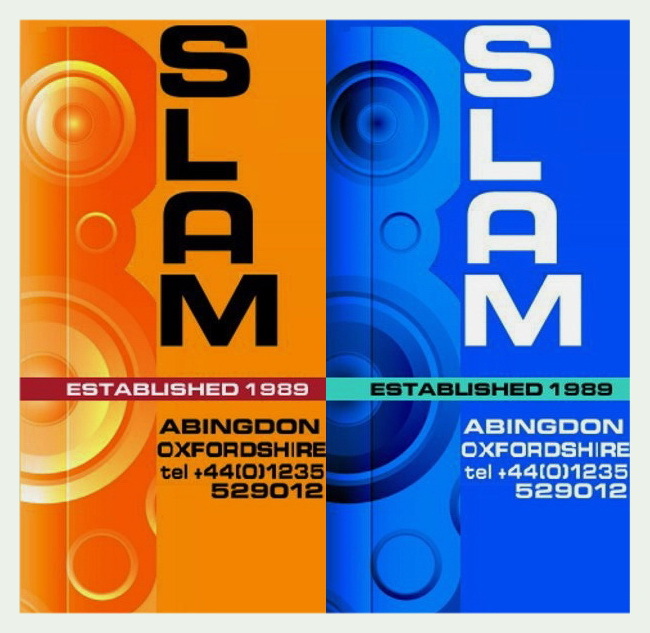 It started off to be their studio side project during the time they were involved in a progressive metal band, which disbanded over musical disagreements. Grey Lotus creates a mellow, somewhat melancholic and dreamy atmosphere with sometimes more brutal experiments. 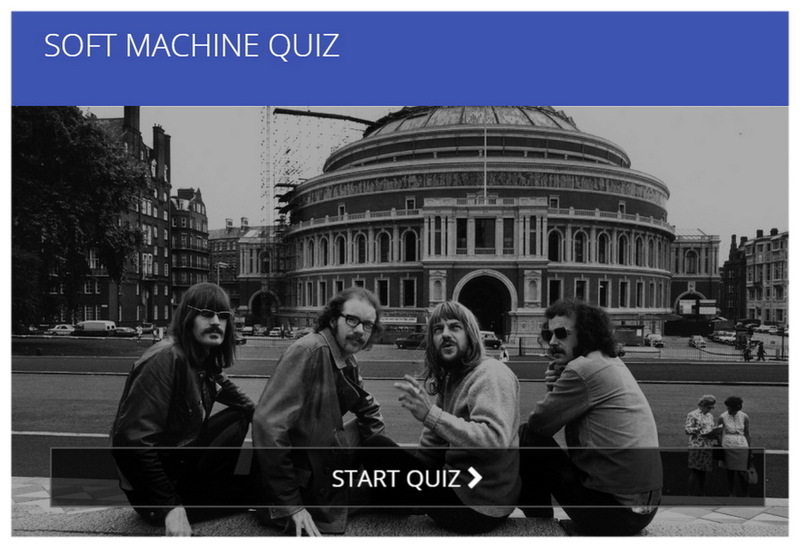 Gillian Everitt confeziona per quelli di TeamRock un instant-quiz a scelta multipla sui Soft Machine. Dieci domande, e per ognuna dieci secondi per rispondere. 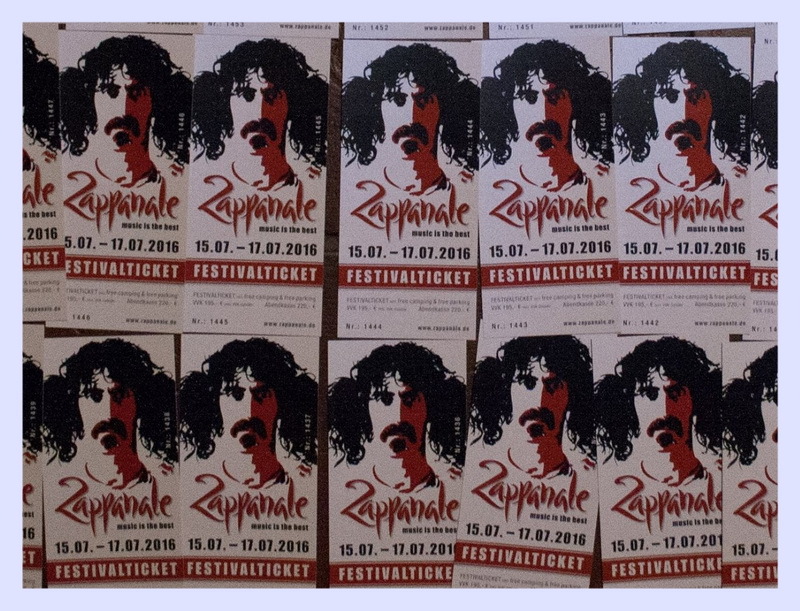 Un po' trivialotto, ma come resistervi? Matthew Watkins saluta ogni mese la luna piena con tre ore di musiche canterburyane senza marcati confini spaziotemporali. La scelta di poche sere fa: "A Soft Machine Peel session from 1969, Caravan live in 1972, a Kevin Ayers single from 1970, Mike Ratledge solo, Isotope featuring Hugh Hopper, a cosmic Gong remix, some Faust, Slapp Happy, a Fred Frith piano miniature, also '90s tracks from Mother Gong, Robert Wyatt, Ultramarine, Red Snapper and Kid Loco. From today's Canterbury, music from Syd Arthur, Jamie Dams, Arlet and Frances Knight." Quando il Lightning Ensemble - un mutevole nucleo di musicisti di Manchester guidato da Richard Scott, ispirato alle indicazioni di John Stevens e all'esempio dello storico Spontaneous Music Ensemble - tenne il suo debutto berlinese l'anno scorso, presso il club Ausland, ebbe ospite prestigioso nel secondo set un imperturbabile Jon Rose: lo riporta il documento artigianale prodotto congiuntamente da Sound Anatomy e Vernacular Recordings, Auslanders. Lo si può ottenere tramite Bandcamp. 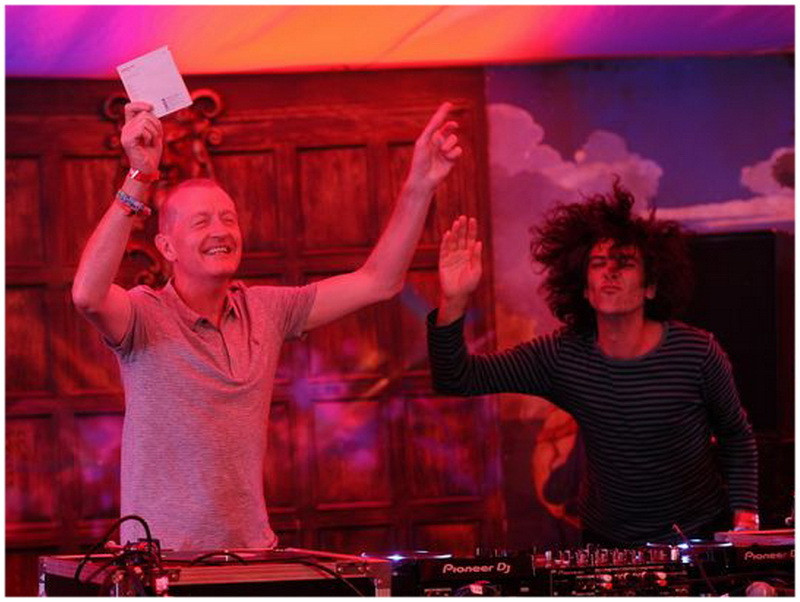 Richard Scott and Phillip Marks first played together in Manchester’s Bark! in the 1990s, alongside Rex Casswell and Robin Hayward. 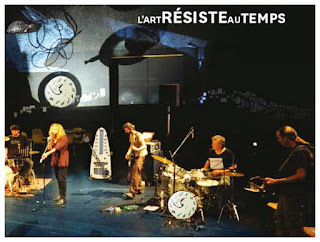 Out of this quite volatile collaboration they helped to develop a distinctive highly conversational, percussive and rhythmic “Manchester-style” of free improvisation, which is very much reflected in the contrapuntal textures and forms on this album, recorded live in concert at Ausland in Berlin in 2015. 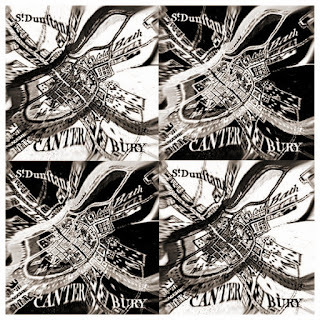 This hyper-interactive style of improvising, with individual lines subservient to the collective shaping of energies, owes much to seminal UK groups such as Spontaneous Music Ensemble and Music Improvisation Company but with a restless edginess that perhaps reflects a different time and no doubt something of the sociable and sometimes abrasive character of the city of Manchester itself. 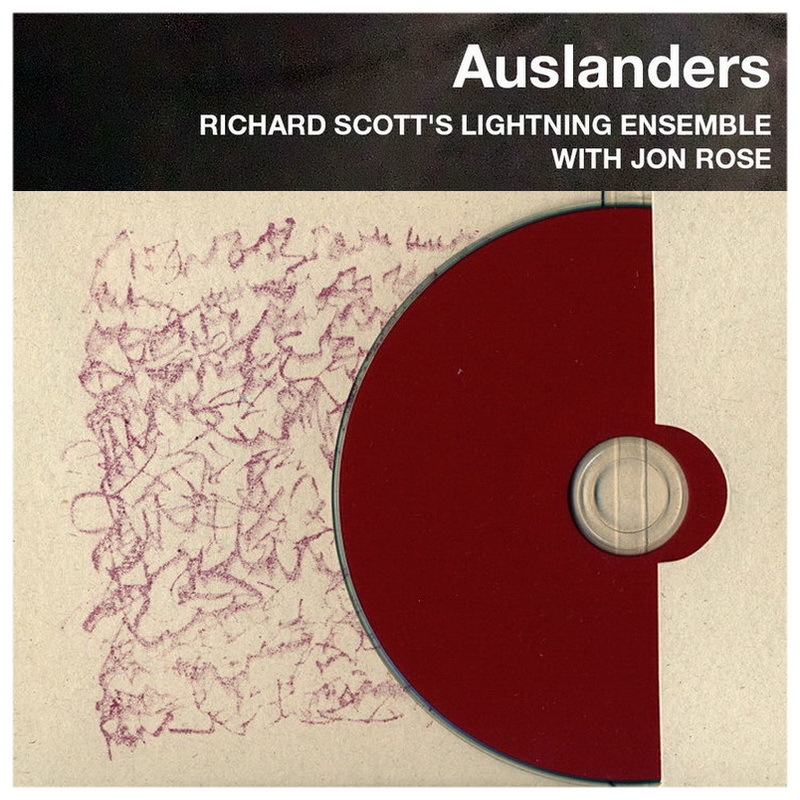 Jon Rose gamely agreed to meet the band onstage for the first time for the Lightning Ensemble’s Berlin debut concert at Ausland and appeared unfazed by the experience. The summer fireworks that ensued that evening are herby etched here in binary form for all to hear. 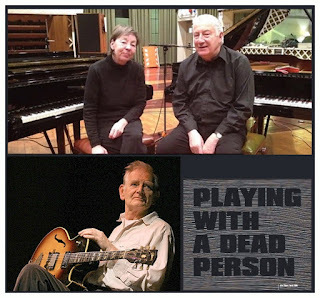 La portoghese Clean Feed suggella discograficamente il primo incontro di Evan Parker (sassofono tenore) e Alexander Hawkins (pianoforte) sul terreno del dialogo a due: Leaps in Leicester, un concerto all'Embrace Arts di Leicester del 27 febbraio 2015. 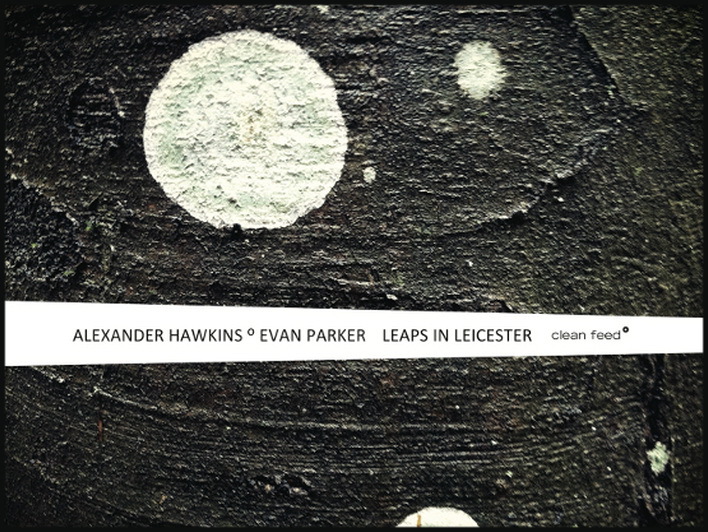 Saxophone colossus Evan Parker is no stranger to the duo format with a pianist, and the recordings with the likes of Agustí Fernández, Sylvie Courvoisier, Matthew Shipp, Georg Graewe, Stan Tracey, Borah Bergman and John Tilbury are there to confirm it. His encounter with Alexander Hawkins isn’t just one more experience in that context, however. 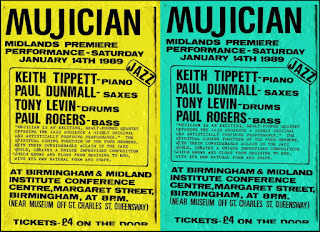 Leaps in Leicester may put him in known territory instrumentally (after all, which contexts hasn’t Parker seen over the course of his illustrious career? ); but it’s not the context which provides the route to new directions here, so much as the personality of the individual with whom the dialogue is developed. 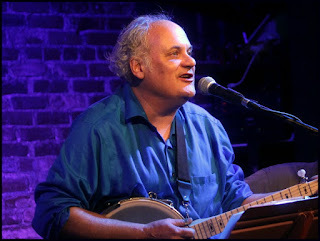 A self-taught improviser and composer, Alexander Hawkins is one of a kind and the best partner possible for someone as unique as Parker. Although over recent years Hawkins has appeared in various Parker-led formations (ranging from trio through to a 15-piece large ensemble), this album captures the pair’s very first explorations in the duo format. 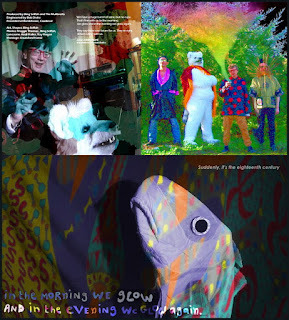 Qualche titolo: Monkey Bar, The Man Who Turned To Chad, There Are No Bridges In Folk Songs Because The Peasants Died Building Them, Record Store Day, il doppio promozionale Dischad Fever, un altro doppio (Dochademonic) disponibile nei volumi Amore e Odio, Old Dog, Supplies Dwindle, To Robert Harris, Love Never Say Ugly e ancora qualche copia dell'anno scorso di The Sounds of Genius, a nome Eddie Chatterbox, con apparizioni di Ed Cassidy, Walter Malli, Sunny Murray, Peter Kowald e Derek Bailey. Tutto tuttora disponibile a richiesta presso House of Chadula. 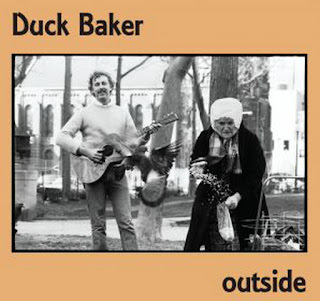 Emanem pubblica un bell'album di Richard 'Duck' Baker, artista e maestro del fingerstyle applicato anche in contesti di free jazz e improvvisazione. Si intitola Outside, e raduna registrazioni inedite di diverse epoche: Calgary 1977, Londra 1982 e Torino 1983. 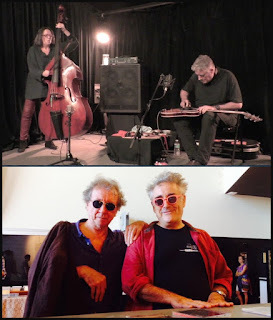 Delle più antiche, un paio delle quali in duo con Eugene Chadbourne, scrive nelle note di copertina il chitarrista: "The tracks here that were recorded in Calgary had their genesis in my meeting Eugene Chadbourne in Toronto in September of 1975. 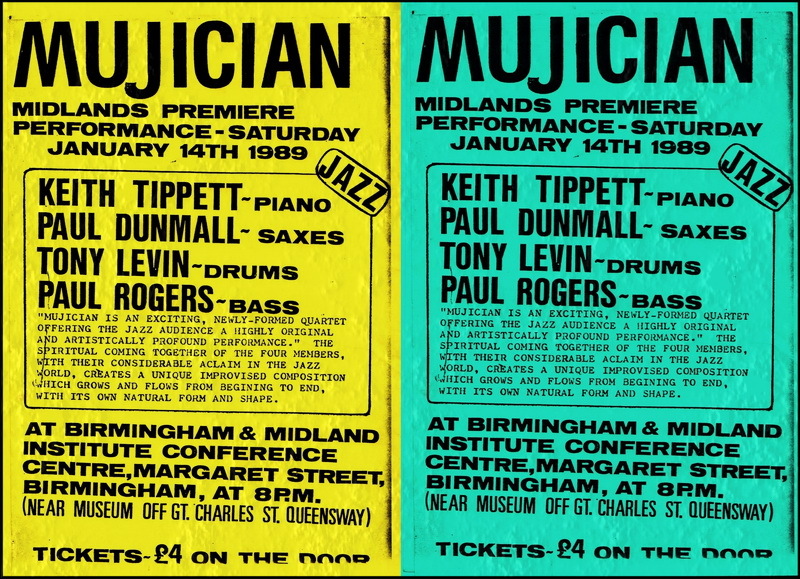 He was performing there and I happened to be passing through so we got together and did some informal playing, which was exciting for me as I had not at that point encountered other guitarists who were playing free music. The following year I drove through Calgary to visit Eugene and also met another fine guitarist who was living there at the time, Randy Hutton, and in 1977 Eugene set up some gigs for the three of us, and we recorded a piece of his called Two Peafowl which he released as one side of his Guitar Trios LP. As I remember, I also made two more trips to Calgary during the next couple of years, the last after Eugene had moved to New York (in 1978). On that last occasion I did at least one concert with Randy, and we did some things in the studio, too. I have a feeling that White With Foam and the improv Shovelling Snow may date from that occasion, but there is no way to be certain. Likewise, the two duos with Eugene may have been recorded at the same time as Two Peafowls or on another 1977 trip. I’m not sure why he never released these himself, not only because I like the performances but because the writing is excellent, and I am not aware of him ever having returned to these pieces." 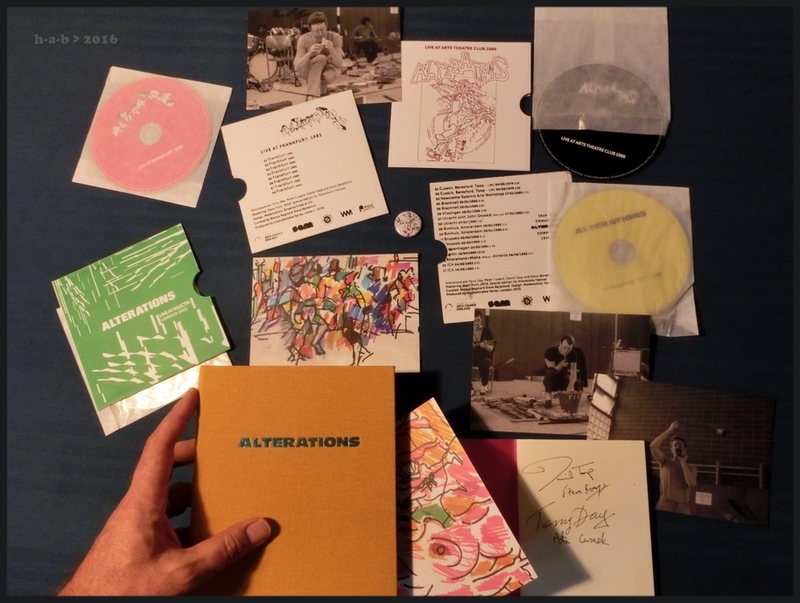 George Haslam sceglie una ventina di album vecchi e nuovi dal catalogo della propria etichetta Slam Productions e li offre a prezzo più che amichevole per buona parte dell'estate: ottima idea, e anche occasione per ritrovare qualche titolo di Paul Dunmall, Howard Riley, Keith Tippett, Ken Hyder, Chris Biscoe e Brian Godding. 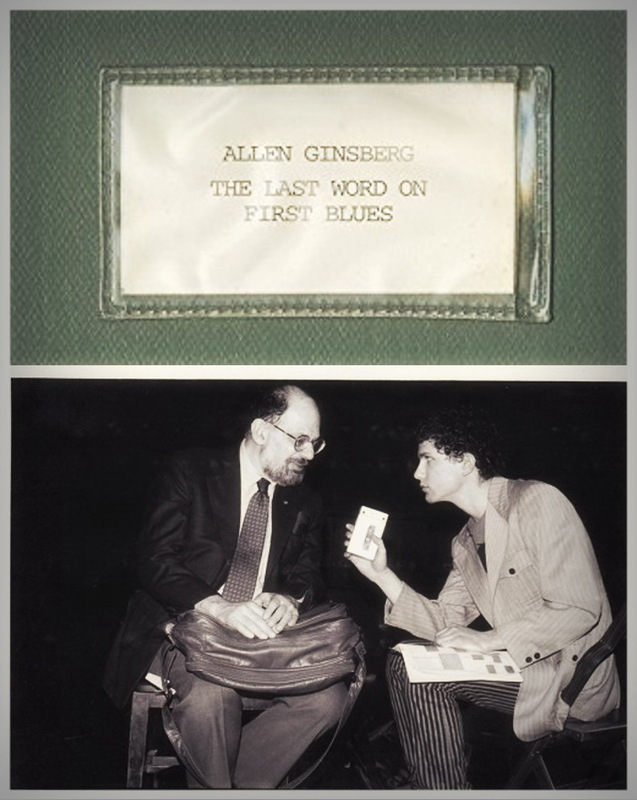 Importante pubblicazione atta a far maggior luce su alcuni aspetti dell'Allen Ginsberg cantante - non il cantore, poeta e bardo - indicati solo in parte da precedenti documenti: The Last Word on First Blues, tre cd con materiali noti e molti inediti del periodo 1971-1981 compilati e prodotti da Pat Thomas per Omnivore Recordings. The poetry of Allen Ginsberg was a foundational influence on the counter culture, informing folk, rock & roll, and punk, establishing a vocabulary that was as profane and fearless as it was beautiful and transcendent. 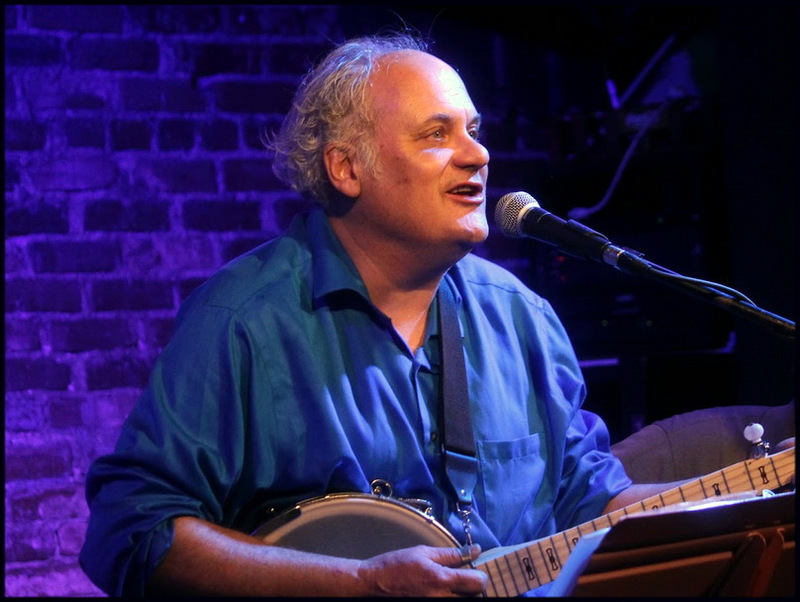 But while his contributions to the discographies of Bob Dylan and the Clash are well documented, his own musical explorations have been less publicized. With the release of Omnivore Recordings’ The Last Word on First Blues, a three-disc set featuring material recorded in 1971, 1976, and 1981, producer Pat Thomas has gone a long way toward illuminating this singing side of Ginsberg. Featuring contributions from Dylan, avant-garde cellist Arthur Russell, an appearance by Don Cherry on kazoo, David Mansfield, Steven Taylor, Peter Orlovsky, and many more, the sessions presented here are wild, loose, and celebratory. The recordings encompass far out country, gospel sweetness, jug band reveries, swinging jazz, and blues, effectively presenting a template for future freak folk weirdness, playing in sandboxes similar to those of his friends the Fugs and Holy Modal Rounders. 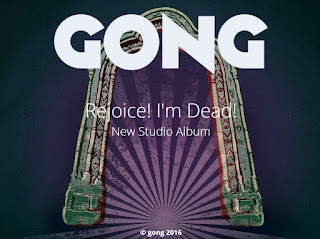 Sarà pronto a settembre, e perciò prima del previsto, il nuovo album dei Gong. Il titolo è Rejoice! I'm Dead!, e sarà disponibile in diversi formati su etichetta Madfish, in continuità con il precedente I See You. In formazione sono Kavus Torabi, Fabio Golfetti, Ian East, Dave Sturt e Cheb Nettles, con ospiti Steve Hillage e Didier Malherbe, e con l'accennata presenza in un paio di brani del compianto Daevid Allen. Si può prenotare già ora tramite Planet Gong e Burning Shed. Jonny Greene ne scrive entusiasta: "The sound quality is fantastic, it's a really well produced album. A triumph in every respect. From the opening joyfully, proclamatory chord through the magnificent musical opus that is 'The Unspeakable Stands Revealed' to the uplifting, triumphant coda of the last track this is an exceptionally good album. It is vibrant with deep Gongness but with no hint of pastiche. 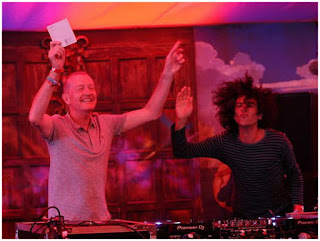 It presents an new inspiring mix of high musical ability, creativity and focus. 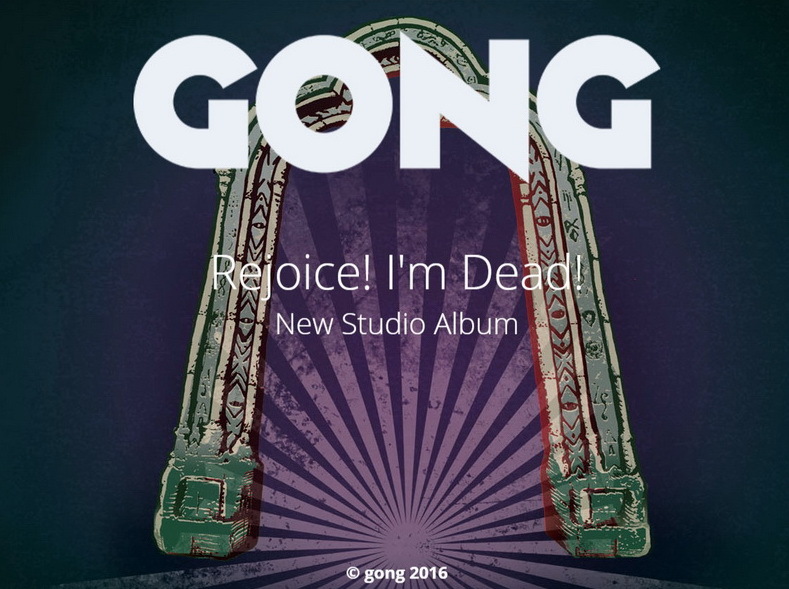 And it is without doubt - Gong. The potentially difficult balancing act of being true to rich legacy of Gong, daevid and the memory of all that has been while not being weighed down by it, and at the same time as being true to themselves has not just been successfully accomplished, it has been totally vaulted over with grace, style and engagement. 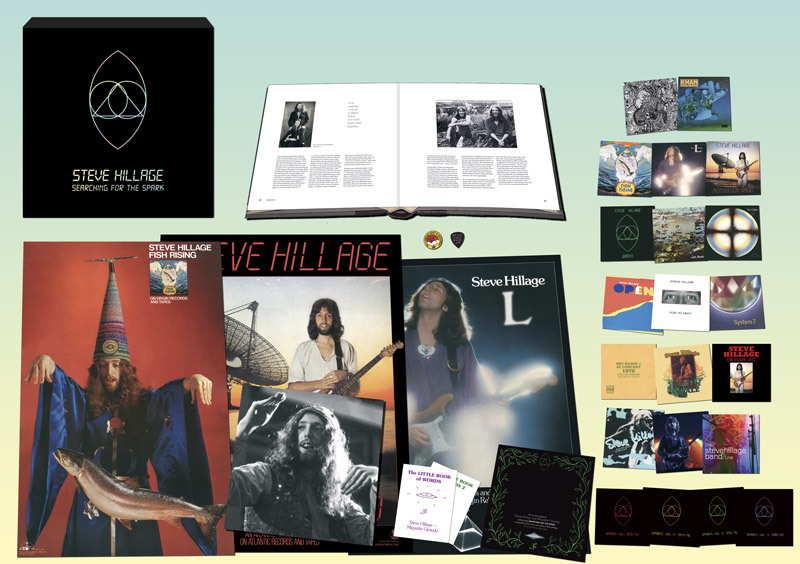 I find it hard to imagine that they could have achieved it any more completely than they have - daevid, I know, would be over-joyed"
Sono aperte presso Planet Gong e Burning Shed le prenotazioni per l'annunciato box antologico di Steve Hillage Searching for the Spark: ventidue cd con l'intera produzione ufficiale del chitarrista - grosso modo dall'esordio Arzachel (1969) all'esordio System 7 (1991) - e un'ampia scelta di materiali inediti di studio, radiofonici e dal vivo. 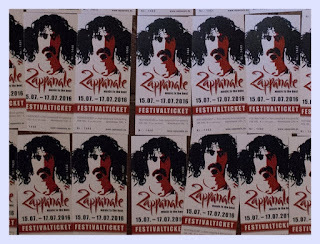 Ci sono anche libri e libretti di testi e immagini, un corposo volume cronologico con discografia, saggi e interviste, poster, vari oggettini per il collezionista, una raccolta di ritagli di stampa e perfino un certificato autografo di garanzia. La tiratura è limitata a 2500 copie, l'iniziativa è dell'etichetta Madfish. Bing Selfish and The Multiverts consegnano al mondo il loro album In The Morning We Glow and In The Evening We Glow Again, registrato a inizio anno a Bordebasse, Caudeval con la sapiente regia sonora di Bob Drake. Drake è in formazione alla batteria e voce, con Ray Hogan (chitarra, voce), Lonesome Andi Haller (basso, sassofono, voce) e naturalmente Bing Selfish (chitarra, voce). L'album, che si ottiene anche via Bandcamp, è accompagnato da un bel video su YT. Doppio appuntamento parigino nei giorni scorsi per Fred Frith sui fronti della musica e della moda: prima in duo con Joëlle Léandre per Instants Chavirés e poi con l' amico John Greaves per un ragguaglio sugli accessori eyewear della collezione uomo primavera-estate 2016. 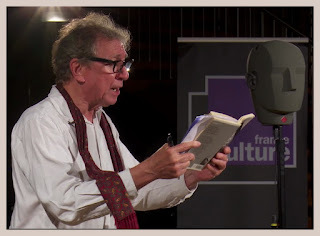 Finale col botto per la serie radiofonica Machins/Machines prodotta da Thomas Baumgartner per France Culture: attorno allo straordinario microfono 'Georges', capace di catturare in pieno la spazialità tridimensionale degli eventi sonori, c'era qualche giorno fa John Greaves, in un quintetto inedito con Olivier Mellano, Valérie Gabail, Scott Taylor e Laurent Valero. Magici! 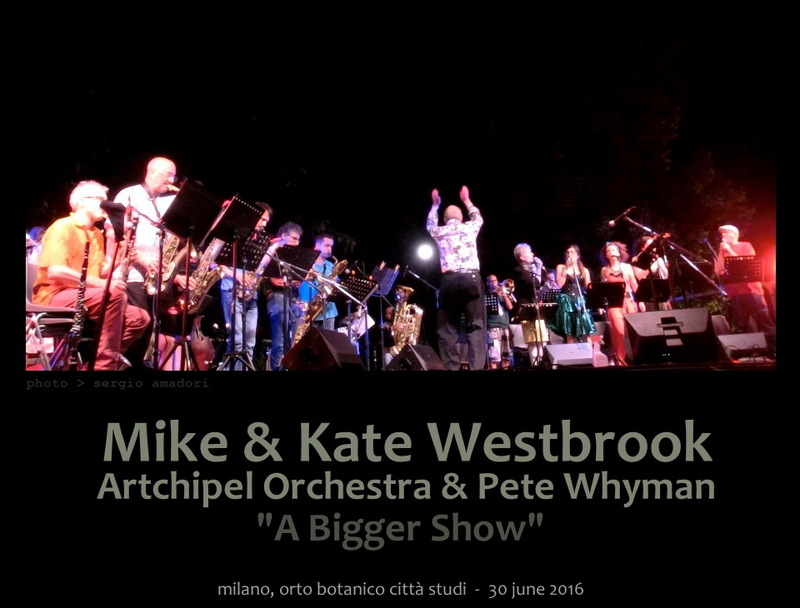 E un altro impegno già si prospetta per l'instancabile Mike Westbrook, stavolta a Parigi, dove il 19 e 20 luglio prossimi terrà due concerti solitari negli spazi della casa d'arte 19 Paul Fort di Hélène Aziza, in parte aperti al pubblico. 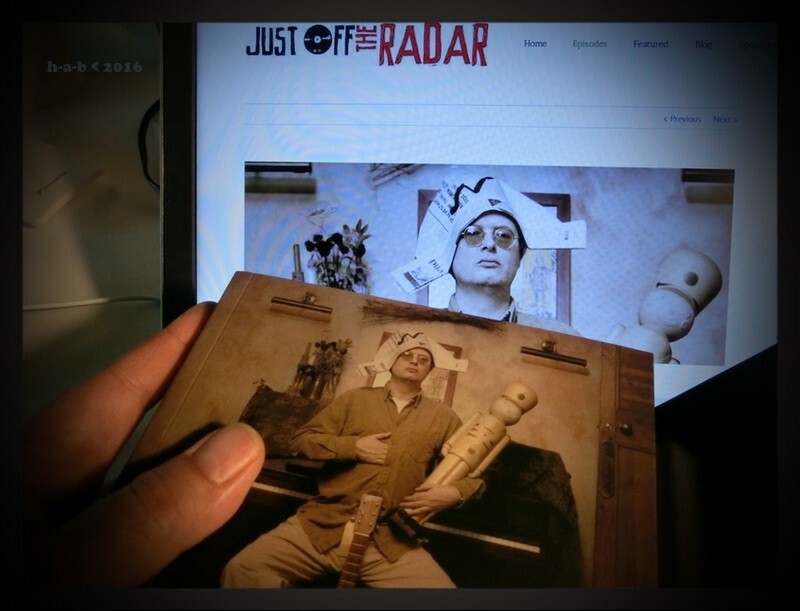 Le registrazioni confluiranno in un album - e da quanto ne manca uno di Mike per solo pianoforte! - che si prevede pronto entro l'autunno, con la produzione del fedelissimo Jon Hiseman. Lo scorso 26 aprile Steve Beresford, Tania Chen e Stewart Lee erano al Cafe Oto a presentare un lavoro piuttosto noto di John Cage, Indeterminacy (1958), già proposto nel club londinese in precedenti occasioni, e divenuto nel tempo una sorta di cavallo di battaglia del trio: ne esiste tra l'altro anche un documento semi-ufficiale in cd, con loro esecuzioni del 2010 e 2011. 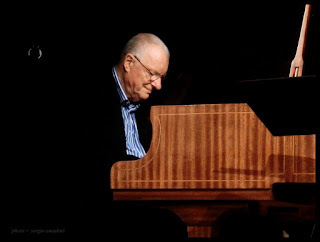 Radio 3 della BBC ha acquisito la registrazione di quella serata e l'ha proposta pochi giorni fa in una puntata di Hear and Now, con altri brani di Cage e della stessa Chen interpretati a inizio concerto dalla pianista assieme a Jon Leidecker. 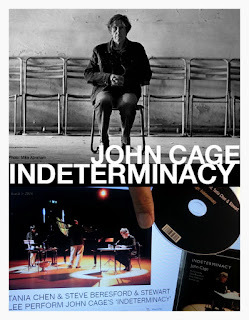 Comedian Stewart Lee and improvisers Steve Beresford and Tania Chen perform their interpretation of John Cage's 1959 recording Indeterminacy in a performance given at London's Cafe Oto in April. Robert Worby talks to the trio about how they approached the work, which involves the carefully timed reading of randomly selected stories by Cage - personal musings on subjects ranging from mushroom identification to music lessons with Arnold Schoenberg - to a disconnected musical accompaniment. 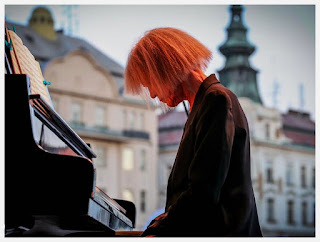 The concert also features works for piano and electronics by Cage and Tania Chen, performed by Chen alongside American experimentalist Jon Leidecker.